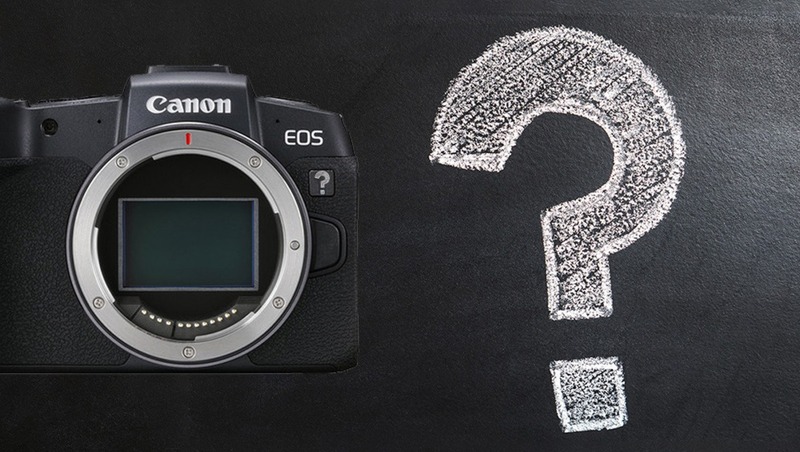 During a fascinating interview given by one of the company's senior executives, Canon dropped a few bombshells, including the plan for a full frame mirrorless camera that is even cheaper than the recently launched EOS RP. When you consider how affordable (and limited) the RP is, you have to wonder what Canon has in mind. The RP took some of us (i.e. me) by surprise: I was certain that the DIGIC 8 processor would be absent, as would any 4K functionality. Instead, we got pretty much the same camera as the 6D Mark II, albeit with the DIGIC 8 and some fairly random video limitations. 4K arrived but with a 1.74x crop and with Dual Pixel autofocus disabled. There’s no C-Log and the rolling shutter is alarming. And weirdest of all, there’s no 24 fps when shooting at 1080p. Canon’s habit of crippling its bodies to protect its other cameras had just entered the world of the full frame mirrorless. AA: Do you see a full frame camera coming in at a price below the RP? Leaving this to hang tantalizingly in the air is somewhat excruciating, but it does present us with a delightful opportunity to speculate on what Canon is planning. The RP costs $1,299, so just how much cheaper can Canon go? Given the number of shooters who have zero interest in video and with sensor prices dropping ever further, a budget-friendly full-frame offering makes a huge amount of sense: ditch the 4K completely, use up all of the DIGIC 7 processors that are sitting on the shelf wondering what the future holds, and put out a sub-$1,000 full-frame body. That would certainly be one way to shake up the market. Would it be a fully fledged MILC or a fixed lens camera and more in line with the Leica Q2 or RX1R II, but without the ludicrous price tag? Both have their advantages. A true MILC means another body capable of accepting the rather incredible (not to mention expensive) RF series of lenses. The range of glass at the moment doesn’t really tie in with the idea of budget format, and let’s not forget that most of these lenses are somewhat huge. All that said, there are more RF lenses to come in the near future, and giving consumers a wider choice of Canon MILCs will soon make sense. A few years ago, Canon Rumors published an article suggesting that Canon was close to announcing a fixed lens camera. 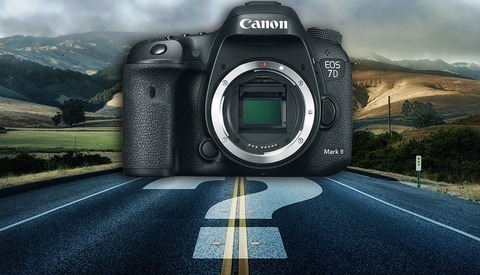 Nothing ever came of this speculation, possibly because research and development energies were becoming more focused on getting mirrorless options to market. Demand probably isn’t so huge, and a sub-$1,000 price tag seems very unlikely, especially given that its competitors ship theirs for three times as much, if not more. To me, a fixed lens seems a much less likely option, but I’m now starting to wonder if we will see Canon produce a refined, fixed lens camera inside the next two to three years. I’m guessing that the work they’ve done on developing the R and the RP (autofocus and flange distance) will have gone a long way to making this happen. These are all my first impressions on hearing the news that Canon is plotting an even cheaper full-frame camera. If you’ve any thoughts or insights into what’s coming up, please leave a comment below. They should just make some decent, competitive high and mid range cameras and sell the rp for 800. Of course they will do that. That have been doing that for a long time, and will continue to do so. The best decision I made was to sell my two EOSR bodies and all my Canon lenses and move to Sony and their gmaster lenses. Canon are going backwards by the sounds of things. They will have to innovate if they want to survive in the mirrorless market. The latest firmware Sony released was pretty awesome. How can you possibly cripple a camera anymore than the RP. You can pick up an a7iii for a couple hunner dollars more and have a much better camera. Screwing your customers is only good for the bottom line in the short run. In the long run, this has a tendency to cause firms to lose their market leader position. I like the canon Hardware they just handicap firmware so much that it isn't competitive with anything else on the market in the same price point. The firmware battle is where it is at now. What was the best thing about it? What has been so good for you on a system change? The best decision i made was keeping far away from everything thats mirrorless and buy a canon mkiv and continue shooting. I think canon has something in the pipeline that blows away everything that's on the market including sony. Sony makes good camera's with great results but theyre mechanically very weak. And that degrades it to a camera for amateurs. A little bit of dust or a little bit of water makes it say tilt. I fell through the ice with my A7ii and completely submerged it along with my 24-105 in ice cold water. I pulled the battery and let it dry for a few days and it was fine. I've shot in rain and snow and it's been fine. Now I'm not suggesting anyone dunks their camera but you saying a bit of dust and water will ruin the camera is not true at all. Really the worst part is the hot shoe but as long as you have the cover on it while you shoot it's fine. I also dropped an A7iii and 24-105mm onto rocks and in a stream. The lens was fine after the condensation evaporated out of the glass, the camera has been wonky but after a new main board it actually still works and I use it as my IR body. The A7 first iteration was built horribly with nearly visible holes along every seam. The A7 III is much better built. Never held a II version. A7 III has controls in a layout more similar to the 5D Mark 3 than the EOS R managed (front wheel, rear horizontal wheel, joystick, rear vertical wheel). Sony is learning about build quality, albeit slowly. I went to a lecture about owls a few weeks ago. The flier said to bring your camera! The lecture sold out. There were a lot of pictures of the Great Gray Owl taken, but there was only one camera there; mine (5DIV). All the rest were phones. I went to a car show a few days ago. I saw one other person with a camera; an 80D. All the rest were phones. No Nikon, no Sony, no Fuji, no Pentax, no Olympus. Well, Sony makes the sensors for a lot of those phones. I think that comment was implying that Canon think we will see another FF coming in below the RP, *from another manufacturer*. The RP is priced so well I can't see why they would want to come out with an even lower priced model anytime soon. Only the mount so you can buy lenses. You mean a Leica? Don't see one of those costing less than the RP any time soon. Remove video completely? This crippleware has to stop. I'm a Canon shooter and won't buy another body until they reduce rolling shutter, don't line skip and add 4:2:2 colour and 10bit. Fujifilm managed it in the relatively inexpensive X-T3. "Fujifilm managed it in the relatively inexpensive X-T3." That would be Sony who managed it. Unlike Canon, pretty much every other manufacturer uses Sony sensors. you dont understand the difference between chip fabrication and chip design. sony only does both for its own sensors. The Fuji X-T3, for example, uses the Sony IMX571 image sensor. What part of that did Fuji design besides asking for the X-Trans array? It's not about the sensor by itself. It's about the great video modes and the well-controlled rolling shutter and the integrated 10-bit. Yes, all of that's possible with Sony sensor but for some reason only Fujifilm is doing it. Apparently Panasonic plans to give us all this good colour info (4:2:2 10bit in camera) with the S1 in a future firmware update. The S1 is a really big mirrorless camera though – a touch bigger than the 5D line. Not a carry camera like a Fuji. If Fuji had a full frame camera all my Canon gear would be on e-bay already. As it is, I'm giving them until the end of the year to come up with a mirrorless version of the 5ds, and f they don't, I'm done with them. EOS YB (Y Bother?). Because anything more crippled than the RP will make any other used FF camera look like a bargain in comparison. 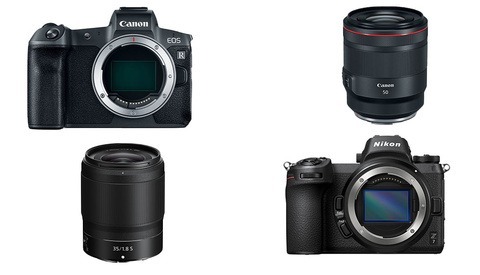 Canon's been painting themselves into corners lately, with the EOS M series with very few lenses after 7 years and a brick-walled upgrade path, and the cheap EOS RP with huge, heavy, expensive lenses (and a 35 which is less than stellar). And no, adapted doesn't count, as it degrades performance and adds size/weight vs native. 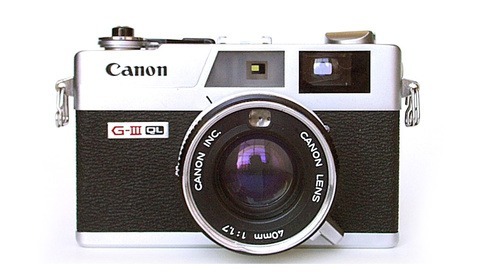 Bring back the Canonet. Full frame Fuji X100 killer! I hate to be cynical, but I wouldn't be surprised if Canon was working feverishly to come up with a camera better than the X100. And I'm sure they will. Too bad that Fuji's already on the X100F. Pocket Point-And-Shoot! Well, that was easy. Yes, it would be smart for Canon to put a full frame sensor in their PowerShot point and shoot cameras. Imagine all the people who own one of Canon's PowerShot cameras learn of a new full frame PS. Heck, I would even buy one! Gawd, I can't believe I just said that. But yeah, a full frame in my pocket for those days when it's not appropriate for me to carry my camera bag. Oh and I nearly forgot all those vloggers who are looking for something lighter to hold on too at arm's length. It must have a flip out screen though. So yes, I could see Canon adding a new line of FF Powershots that cost less than the RP. What's next? 480 video, no auto focus? Canon piece of crap. I'll only keep the glass. Canon bodies, never again. give canon some credit. it'll be 720p30 so they can at least put "HD Video" on the box.